Child sexual abuse. The most controversial subject in America. Everyone has an opinion, but when even the "experts" disagree so violently, how are we to learn the truth? 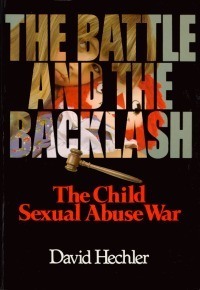 The Battle and the Backlash is the first book on this volatile subject written by an investigative reporter. It probes beyond the media coverage, deep into the harsh reality.